WASHINGTON — The White House is embarking on a major campaign to turn public opinion against the nation’s largely family-based immigration system ahead of an all-out push next year to move toward a more merit-based structure. 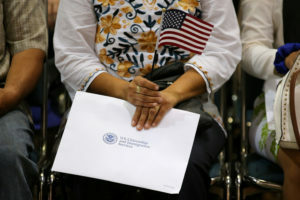 The administration was beginning its campaign Thursday with a blog post stressing key numbers: Department of Homeland Security data that shows nearly 9.3 million of the roughly 13 million total immigrants to the U.S. from 2005 to 2016 were following family members already in the United States. And just one in 15 immigrants admitted in the last decade by green card entered the country because of their skills.